What can contaminate a cleanroom? There is no guarantee of a perfect, contaminant free cleanroom. However by adhering to room pressure requirements, proper gowning procedures and by understanding the origins of the contaminants, users can minimize contamination risk to ensure safe testing and manufacturing environment. These are some of the things you may not have realized can compromise a cleanroom, and some possible ways to reduce the contamination of the source. 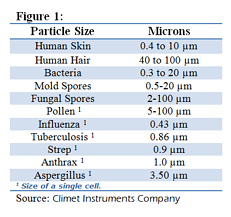 Personnel are considered to be the biggest threat and the highest sourc e for contaminant material, accounting for about 75% to 80% of particles found in cleanroom inspections. Personnel (Figure 1) introduce particles through skin flakes, oil, hair, yeast and movement, while bringing in external particles from cosmetics, perfume, deodorants, lotions, and clothing (lint, fibers). Manufacturing equipment can generate gas, lubricants, emissions, and airborne particles during use. Equipment should be the first thing introduced in a room; evaluated and Material Safety Data Sheet (MSDS) approved for all the materials used in its composition, including any chemicals used by the manufacturer. Sterilization and examination, specific conductivity material, antistatic characteristics, out-gassing properties, and antimicrobial aspects may be required for safe cleaning of the equipment. Contaminants can originate from everyday tools, such as regular household or industrial cleaning products (brooms, mops, dusters) and writing supplies (pen, pencils, paper). Objects in the cleanroom must be cleaned with approved solutions, such as non-particulating wipes and mops, and cleanroom vacuums. Special writing materials, approved cleanroom paper (enclosed in sealed plastic) or electronic documentation should be also be used. 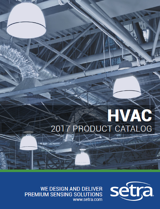 Regular vacuums with HEPA filters are not a viable option, since they emit particles during usage and have only an efficiency rating of 99.96%. Products can generate glass flakes, cleanroom debris, and aluminum particles from vial caps. The extent of cleaning varies, depending on the class of cleanroom, the destination of the raw material or product, and the possibility of any cross contamination to other processes. Transport tunnels, hanging shields, nitrogen purged and vacuum processing, Standard Mechanical InterFace, laminar flow stations, or isolation carriers can help reduce risk of product-generated contaminants. CLICK HERE to learn more about critical environments.